BORN: 1977, Bountiful, Utah, USA. STUDIED: BFA and MFA at the University of Utah. Masters thesis focused on the concept of Ephemeral Realism, which was conceived to help balance societal Ideal Realism. WORK: Tom Betts practice focuses on the depiction of light, colour and texture- something he has mastered over the years. This means Betts realisations are atmospheric paintings that lure the viewer in. 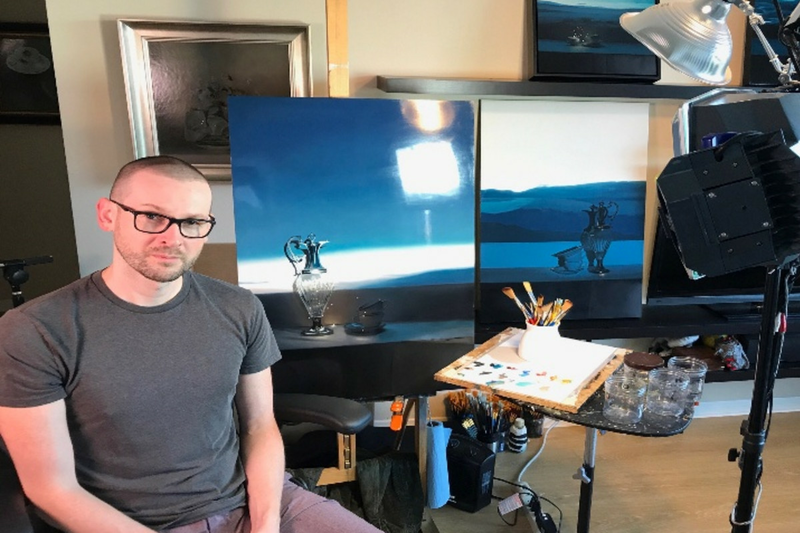 Tom Betts’s paintings are all about light, they are the focal point of his imagery and it would be hard to talk about his work without mentioning it…a lot. As with the majority of hyperrealist artists working today, Betts starts by taking lots of photographs of his subject matter. 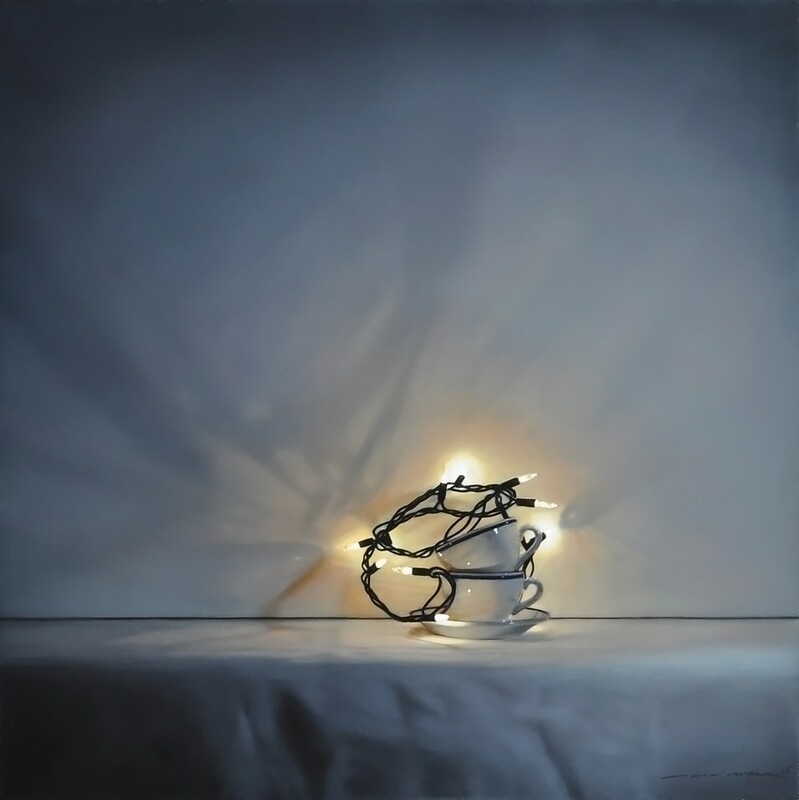 Carefully observing the objects and the light to find a perfectly balanced composition and then capturing the nuances of light and shadow, line and form through his camera he begins his painting. His paintings are masterfully designed to nurture a peaceful environment through the balance of light and nature which is a very delicate operation. The captivating, subtle narrative in Betts's work references the youthful growth of identity as it progresses from painting to series. 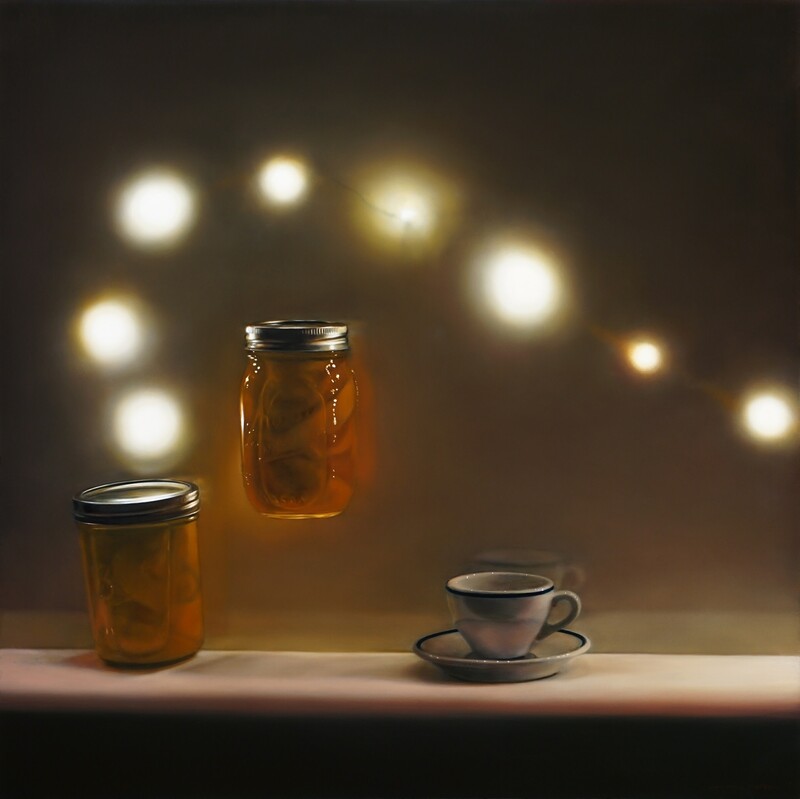 The delicacy of the objects he includes in his works; from glass jars and teacups to linen and fairy lights are so carefully rendered using oil paints, creating an ethereal feel with both vibrant and earthy tones making each painting uniquely refined and hyperreal. You may see subtle hints of cobalt or alizarin in the smoothest grades of light, as well as your own reflection in the glossy finish inspired by the surface of a lake. These works are so much more than vehicles to display his meticulous technique and well-trained eye. Rather, for Betts, each painting represents a different temporal state, present, past, and future, which in turn work to visually articulate an intangible aspect of existence and culture. Part of Betts unique quality is the way in which he successfully employs figuration within his paintings to capture more elusive concepts, such as the nature of existence, in a way more commonly achieved through abstraction. Tom Betts in his studio. 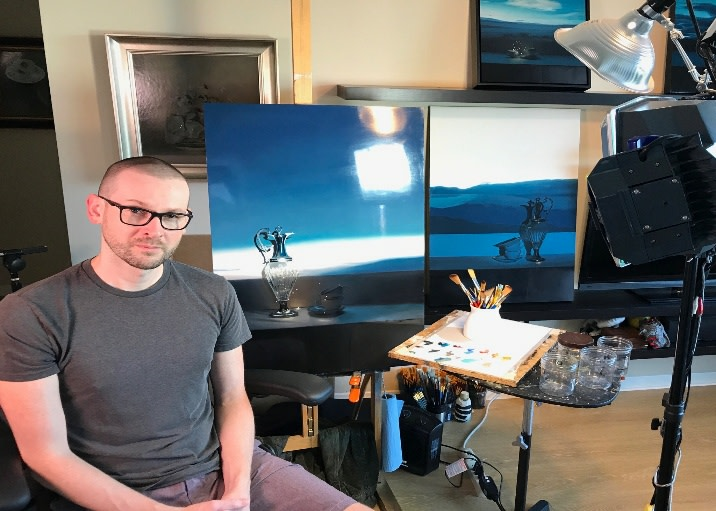 Tom Betts keeps his head shaved to help keep hair particles and dust out of his painting’s so he can achieve that handmade glass like finish.